Fremont Medical Assisting Program, What's Around the Campus? Fremont Medical Assisting Program, What’s Around the Campus? What prevents capable and motivated students from pursuing their education? If you can believe, a lack of conveniently-located options keeps many students from pursuing their academic and personal goals. Students who are supporting themselves financially, who have families, and who full-time often find it challenging to locate a program that offers the flexibility and convenience they need to pursue an education. 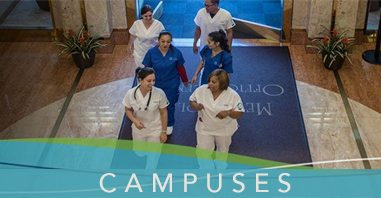 If you are considering Unitek’s Fremont Medical Assisting Program, it’s important that you also ask yourself this question: What’s around the campus? How far is the campus from your house and your current place of employment? When you’re in school, the campus may become a second home, and it’s important to do research beforehand to ensure that you will feel comfortable and secure. The Fremont Medical Assisting Program is located at 4670 Auto Mall Parkway in Fremont, California. The campus sits in a safe area of the city with several nearby establishments, such as a performing arts studio, a 24 Hour Fitness, and various eateries. When you take into account the amount of time you will likely spend on campus, these neighboring businesses become especially important, as you may need to purchase food or multitask and run errands. For example, after class you may want to fit in a workout at 24 Hour Fitness. During a break, you could stop by to a convenience store or a nearby restaurant for a snack before you head back into class. Location and convenience are important aspects to consider when choosing a program. Medical Assisting training programs are accelerated and rigorous. Within the course of a year, Medical Assisting students learn both the administrative duties and the clinical duties typically required of the job. Unitek College requires students to complete a 160-hour supervised externship, which provides students with real-world experience. Without a doubt, your environment makes a significant difference and will impact your emotional state as you move through school. Choosing a Medical Assistant program that is located in a safe location may give you the peace of mind to focus on mastering the material in your program. If you are considering Unitek’s Fremont Medical Assisting Program and you’re wondering what’s around campus, the answer to your question is simple: there are all sorts of useful establishments nearby! The campus is located in a fairly quiet part of town, which will minimize distraction and allow you to focus on your coursework. 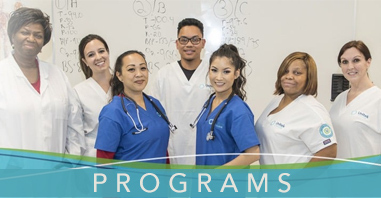 https://www.unitekcollege.edu/wp-content/uploads/2018/08/fremont-medical-assisting-program-bay-area-e1549476718105.jpg 434 851 Alyssa Jordan https://www.unitekcollege.edu/wp-content/uploads/2017/07/unitek-college-logo-01.svg Alyssa Jordan2018-08-27 21:35:012018-09-06 16:15:36Fremont Medical Assisting Program, What's Around the Campus?